Questions about Kichler Lighting 45433NI? 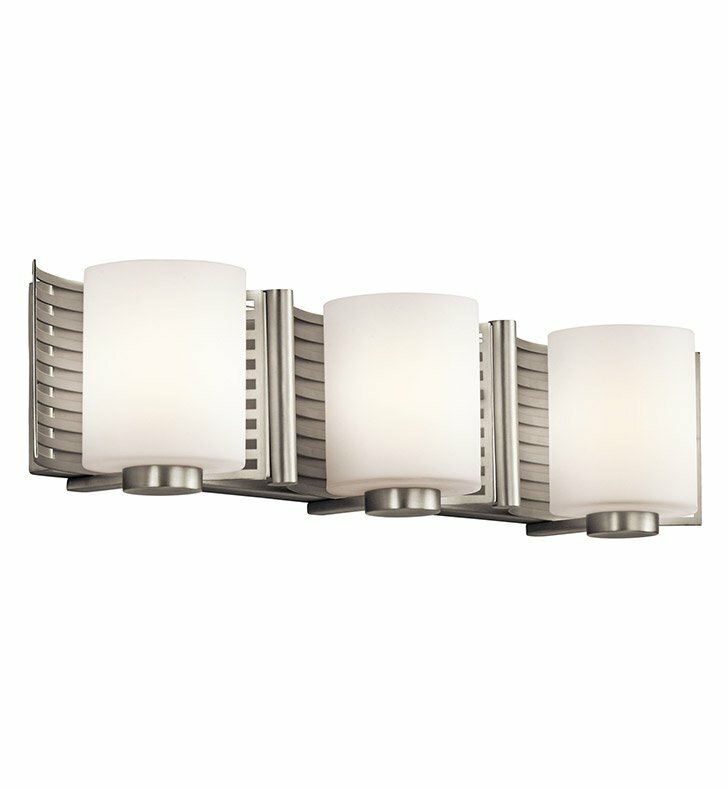 This 3 light halogen wall fixture from the Selene collection will add depth and dimension to any space. The linear pattern, Brushed Nickel finish and beautiful Satin Etched Cased Opal Glass combine to create a soft, luminous glow. Dimensions: H 5 1/4" x W 24"